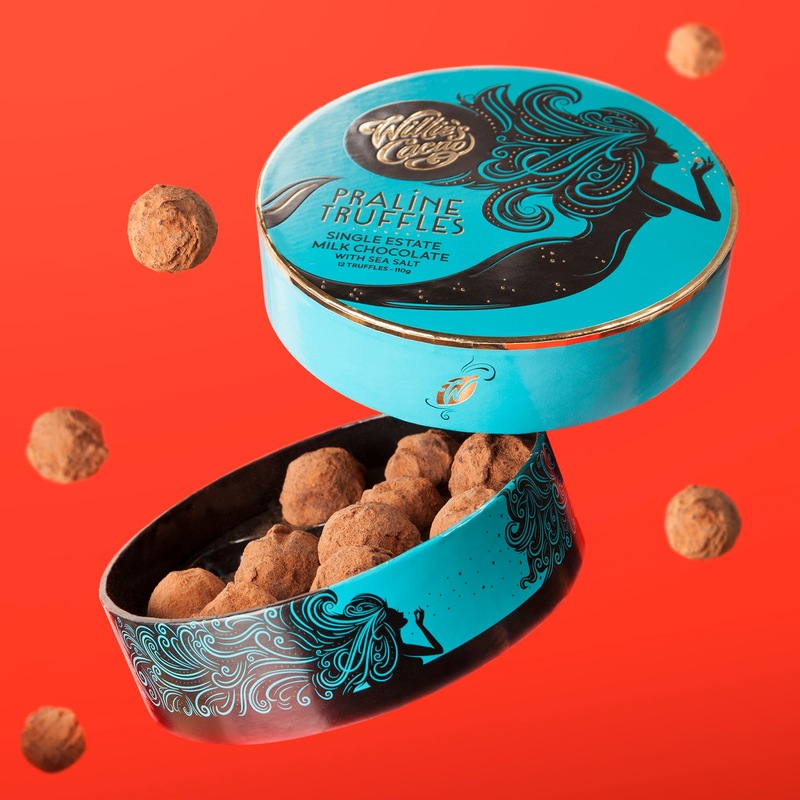 Award-winning chocolatier Willie’s Cacao has launched a range of luxurious truffles with the help of global brand design agency BrandOpus. Not your average chocolatier, Willie Harcourt-Cooze was the UK’s first bean-to-bar chocolate producer and hand crafts all of his chocolate from his kitchen in Devon. With his dedication to craft and quality he wanted to bring a little bit of magic and desire to his new range of luxury truffles. Using only the finest natural ingredients, these aren’t your everyday truffles, they are the ultimate after dark indulgence. 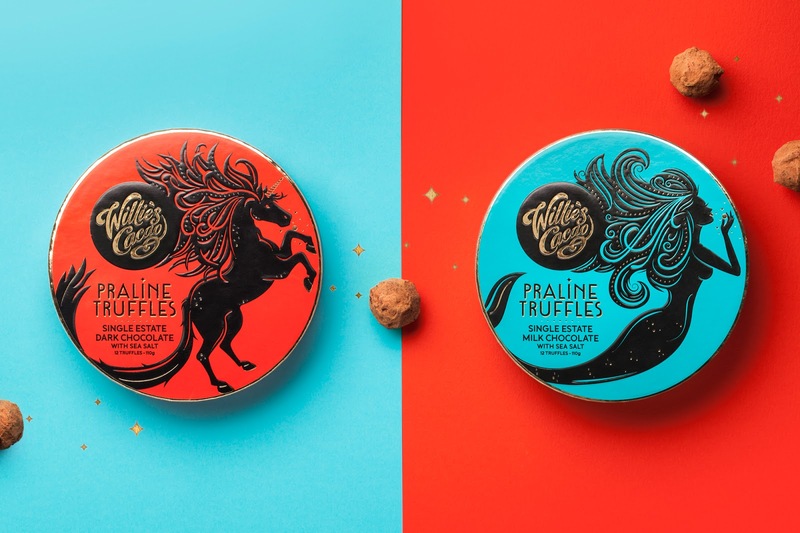 We delved into the enchanted world of mystical creatures to create a grown-up, alluring world for Willie’s Cacao’s Truffles range. 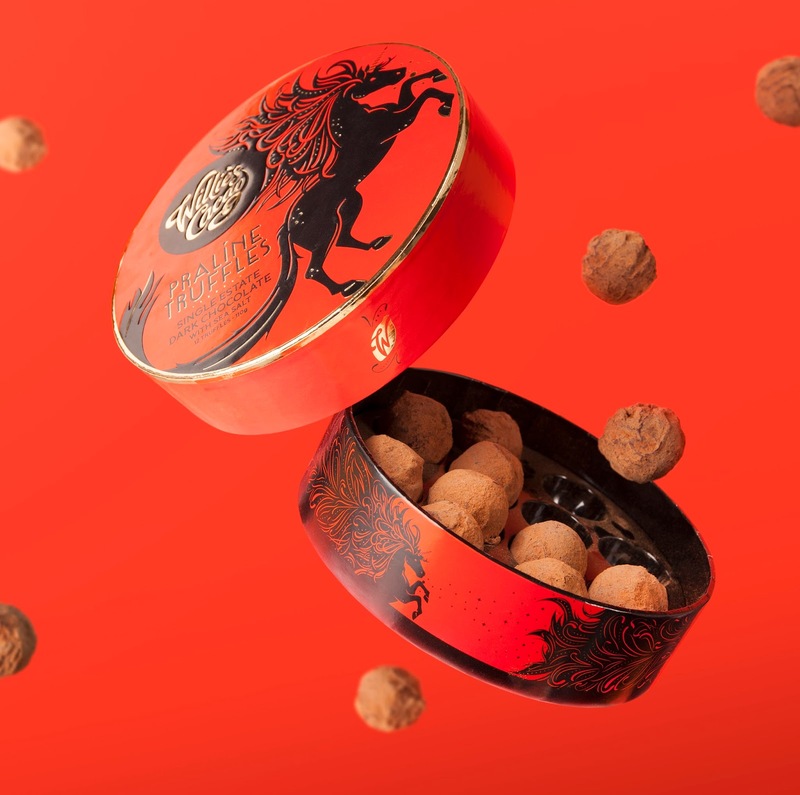 The sumptuous quality of the truffles are represented by intricately detailed seductive characters. 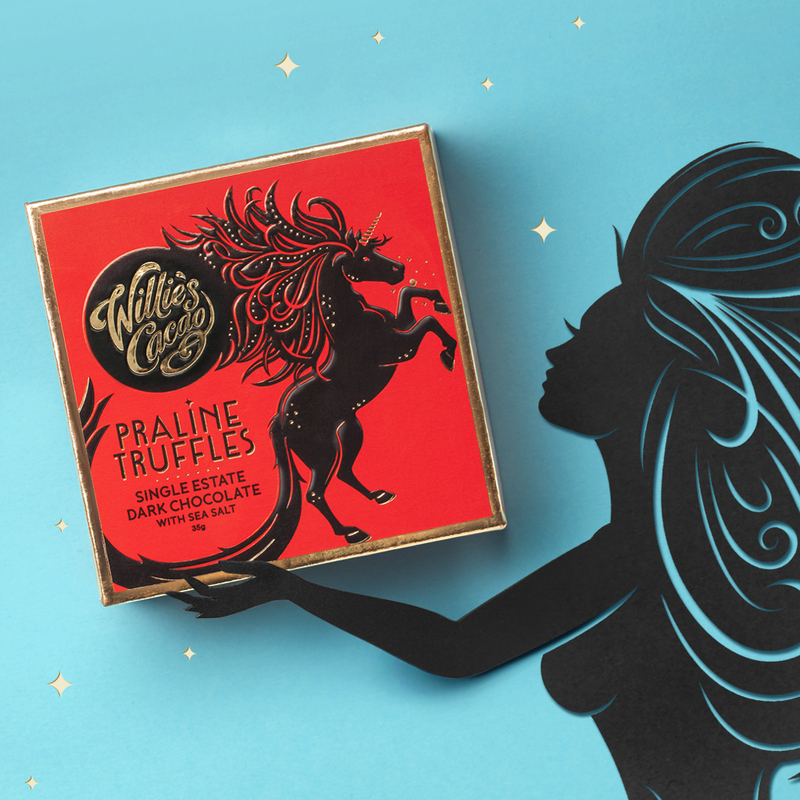 When you open a box of Willie’s Truffles the magic comes to life and envelops the senses, taking you to a magical world full of delectable desires¬. Willie’s Cacao Truffles are the perfect holiday gift or indulgent treat to share and are available to buy in select high-end department stores, independent retailers and online.